I was documenting the bullfighters of the Caldas da Rainha in Portugal during their 2018 season. 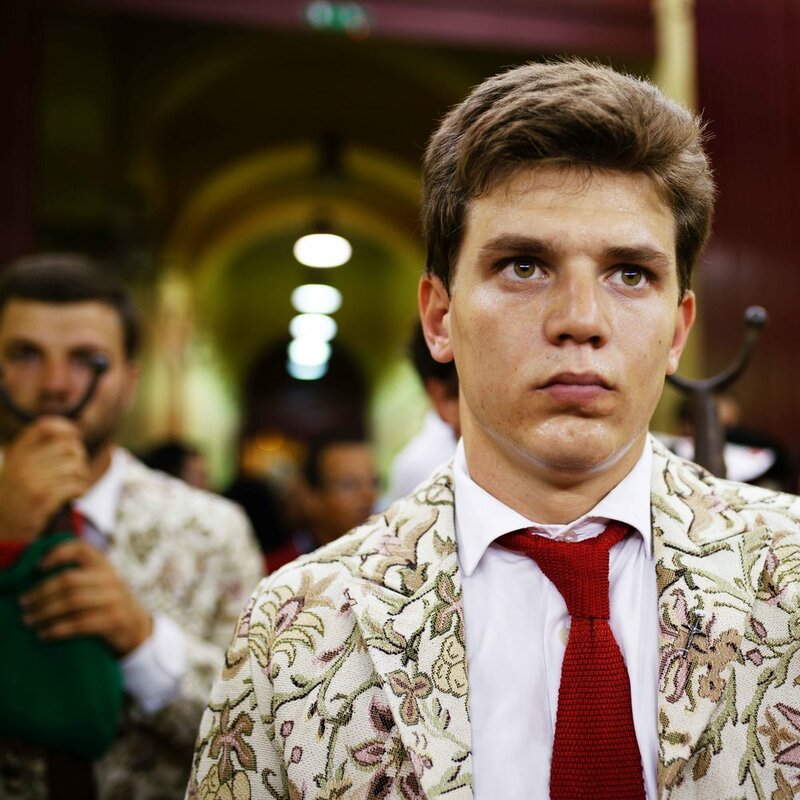 In this series I didnt want to focus on the political side of bullfighting, even though the personal is always political. 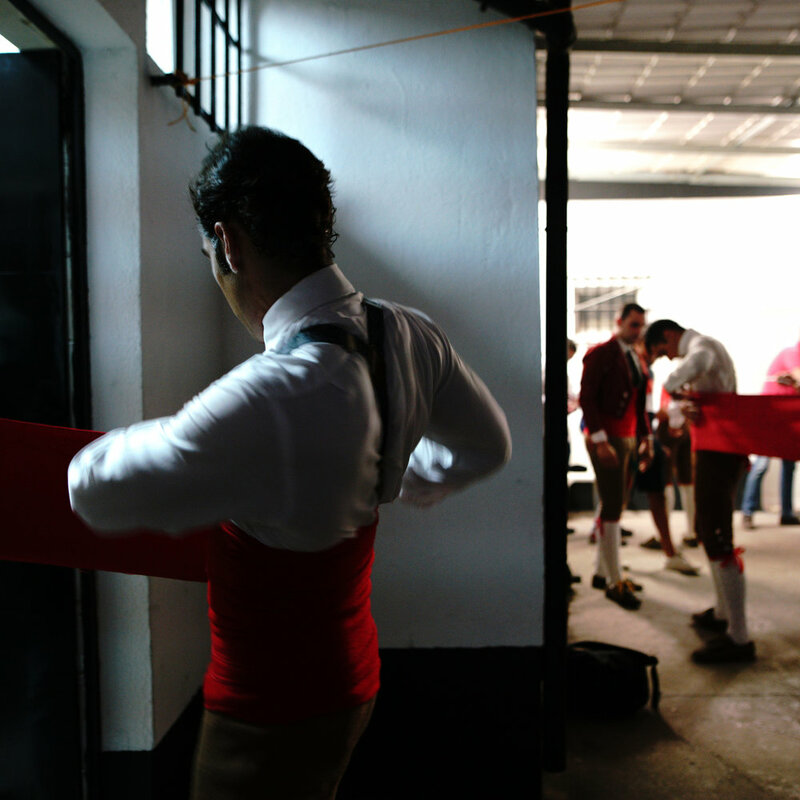 I wanted to focus on the behind the scenes moments of preparation of the bullfights, as well as the moments right after. What struck me was the very strong emotional bonds between these boys, aged from 18?-30? the jaquetas pass from one to another and when it time to change head of group they symbolically change jaquetas. Symbolic act of passing the jacket from one corporal (explain) retires. It made an impression on me that one of the bullfighters…. interviewed and the corporal would speak for them. the relief afterwards, rewarding moments after if the race was bad then they’ll find reward, but always relieving nevertheless.